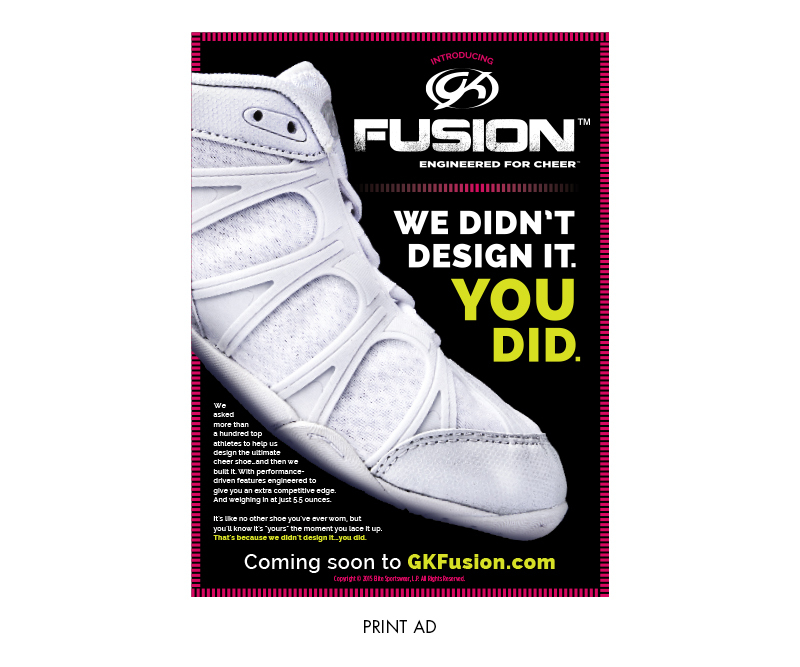 GK Fusion™ Launch – Zucconi Idea Agency, Inc.
For more than 35 years, GK Elite has been a leader in gymnastics and cheerleading apparel; its uniforms are proudly worn by world-class champion athletes around the world, including the U.S. Olympic and National gymnastics teams. 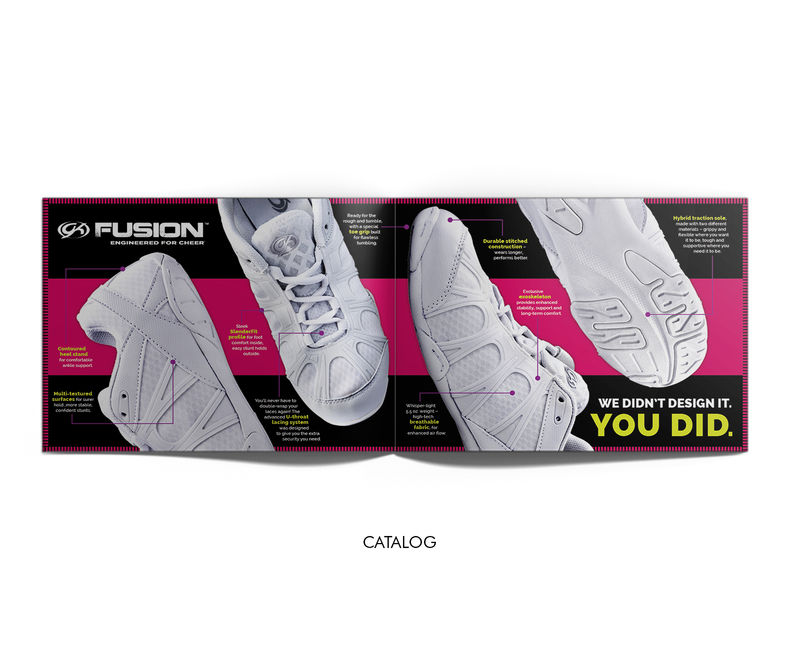 So when we were asked to help launch GK's very first cheerleading shoe, we accepted what we knew would be a challenge: to extend that heritage of leadership into an entirely new competitive space. 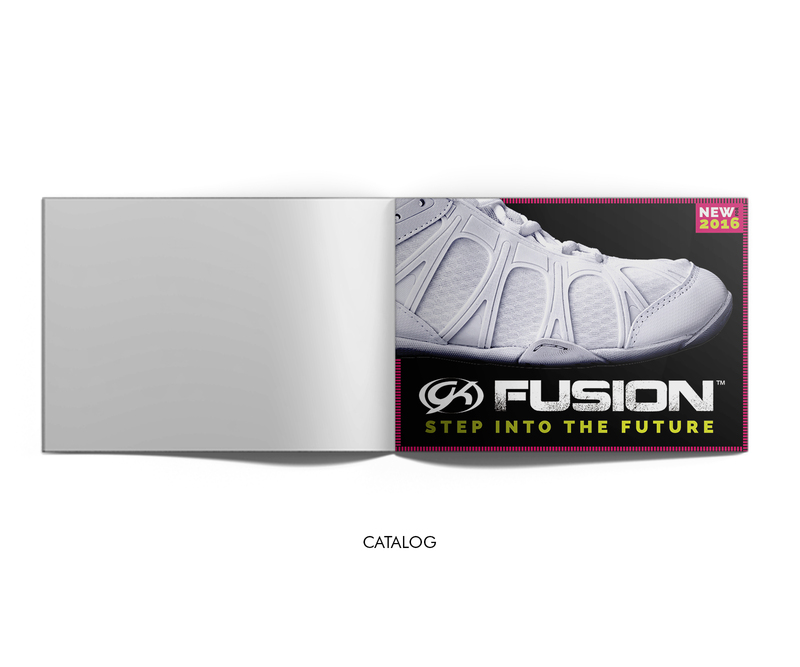 We started by defining and developing a unique creative voice for the new GK Fusion™ shoe brand, inspired by the trends of today's performance athletics – modern, colorful, high-impact graphics paired with confident, relatable messaging. 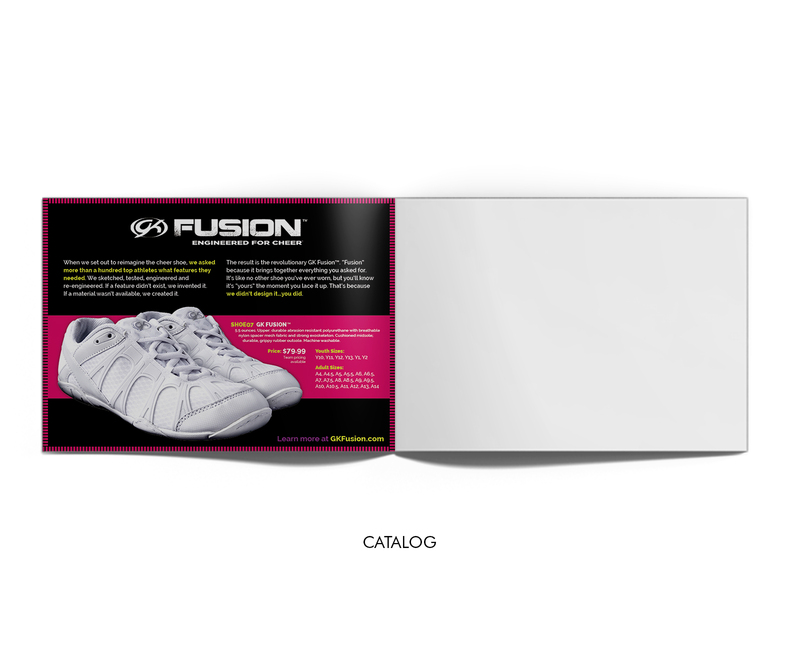 Then we built the cornerstones of the launch campaign: national print ads, dynamic catalog spreads and more. They share a powerful, clean, totally contemporary look – dramatically different from the rest of the GK portfolio, but totally on point for this ambitious, performance-driven new brand. A look that creates presence, commands attention and elevates GK above the competition.